I borrowed this book from a friend after watching the movie. I actually read a hard copy book instead of one on my Kindle. Boy do I miss holding an actual book in my hands! I went out to the library and borrowed another real book that I’m sure I’ll review on here soon. But anyways, back to Abraham Lincoln Vampire Hunter. First I will say that the movie and book seemed like two completely different stories. Neither one bad, just completely different. 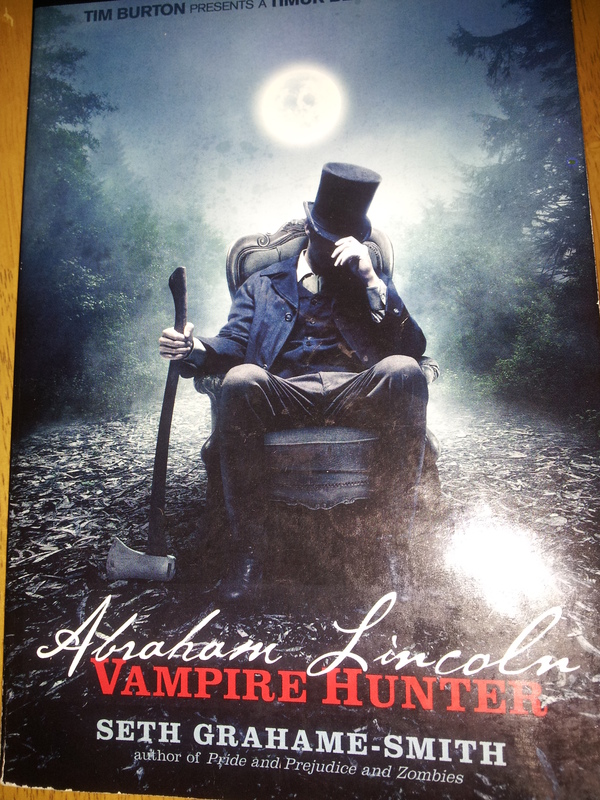 Both follow Abraham Lincoln from a young age and takes on the notion that he hunts actual vampires. One of the biggest difference is in the movie he had a childhood friend who assisted him with vampire hunter. However, in the book this same friend was one he’d met as an adult. In the movie this childhood friend was part of the reason he was anit-slavery. However, in the book, despite disliking slavery, his biggest reasons for removing it from the United States was its link to vampires. I much preferred Henry’s background story in the book versus the one in the movie. The book was fantastic and I would recommend it. The author does an amazing job integrating historical facts and events into his fictional world of vampire hunting. Thus making the whole story seem very plausible. It is clearly well-written and pulled me right into the story. It is filled with lots of facts which I could see becoming tedious to read. Myself, however, felt it added to the story and made it seem more real. It also gave me a great glimpse on history. The characters were vividly written. By the time I finished the book, I felt so connected to the characters I was bummed by the movie’s interpretations. The one drawback to this book, is the history. I did love it as mentioned above, but as the story was winding to an end, I really found it to be too much. I think the story could’ve been summed up quicker. Rating out of 5 Bookends: 4.5 knocked down a bit due to the end being a tad long.